These are a few things that folks have to say about Patricia and her artwork. You can click on any image you like to learn all about that particular print. Patricia Hobson, what a treasure! My name is Donna and I would like to tell you how I come to love Patricia and her artwork. When I worked at Wachovia Mortgage Company, they would match your donation to one local charity each year. I chose the United Way of Yadkin County. If you donated at least $100, Patricia would give you one of her prints. For ten years, she worked with United Way giving prints to their donors. She is such a selfless person and made nothing in return from these gifts. In the spring of that year, I was notified that I could go to Patricia’s gallery and pick up my free print. “Boy, did that start my shopping spree at her gallery!! !” After picking up that first print and meeting her and her husband, Felix, I would enjoy visiting her gallery often. They welcomed me with open arms whether I made a purchase or not. Five years after that initial visit to her gallery, we built our first home. We had many blank walls. And, I knew that I wanted to showcase this very talented local artist’s beautiful pictures all over my house. 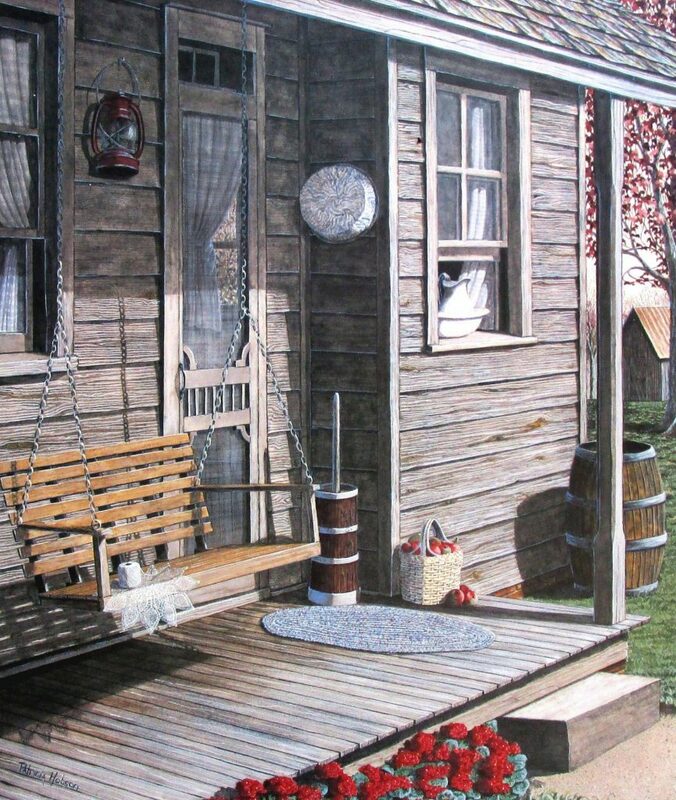 A lot of her paintings are local scenes and some are not; but, I love them all. 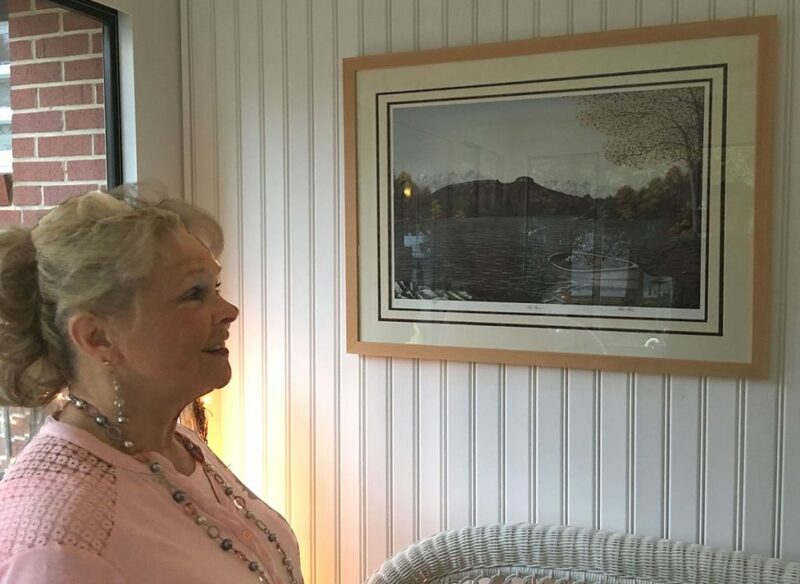 During the process of decorating my new home, Patricia’s husband, Felix, matted and framed my prints beautifully. Then, since I only live a few miles from them, Felix came to my house and helped me place and hang each piece where they looked the best at no charge. WOW, what a bonus!!! This is the sort of people they are. Now, fast forward 30 years. I am the proud owner of 17 of Patricia’s pictures! I can still walk around my house and admire them all. I never get tired of any of them. Her talents just amaze me to this day. In addition to her pictures adding warmth and beauty to our home, I am BLESSED to call her a friend!!! 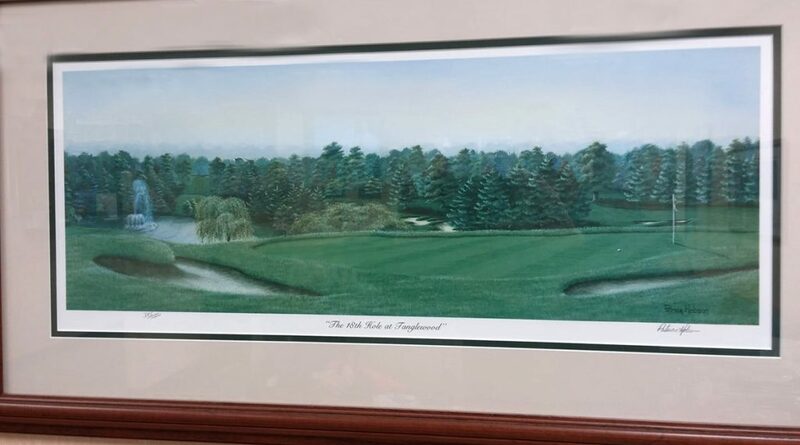 “The 18th Hole at Tanglewood” Brad M.
I Found this in my doctor’s office this morning. He’s got great taste! 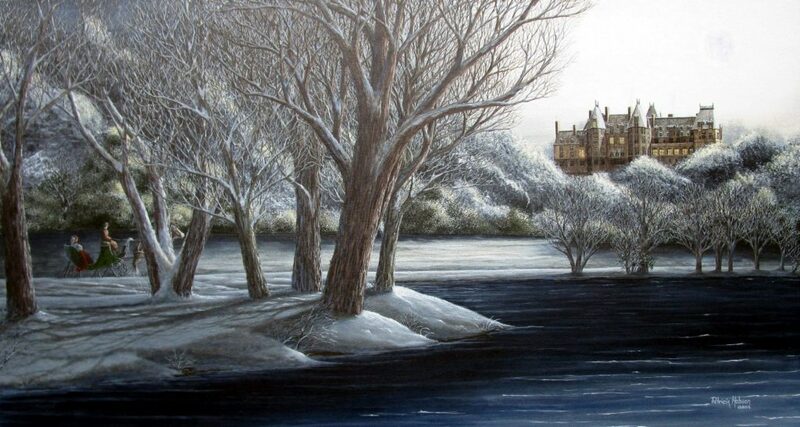 “An American Castle” Vickie B. This Print “American Castle” is a beautiful portrayal of the Biltmore House. I started college in 2005 at the age of 50. This was a graduation gift to myself. I walk by the print every day and simply smile! 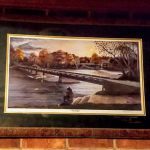 “The Stone Bridge” Brent M.
I have this one, “The Stone Bridge.” It’s hanging in my Man Cave!!! I met artist Patricia Hobson in 1990 and since then have bought several of her paintings. She has a way of making her paintings come to life and uses several different historical sites in Yadkin Co. as well as other places. Some of my favorites are “Nostalgic Rockford,” featuring the old Rockford General store, and “The Bridge,” a view of the old Rockford low water bridge. The River, pictured here, is special to me because I won it in a contest with Patricia’s gallery. It has the Pilot Mountain in it which I love to visit and see it from a distance. The Quiet place is another print of Patricia’s that features Pilot Mountain. I can just see myself sitting in the rocker and looking and looking at the beautiful view of the mountain. The Letter I liked because it because it had a lot of old buildings and a lot of forest. 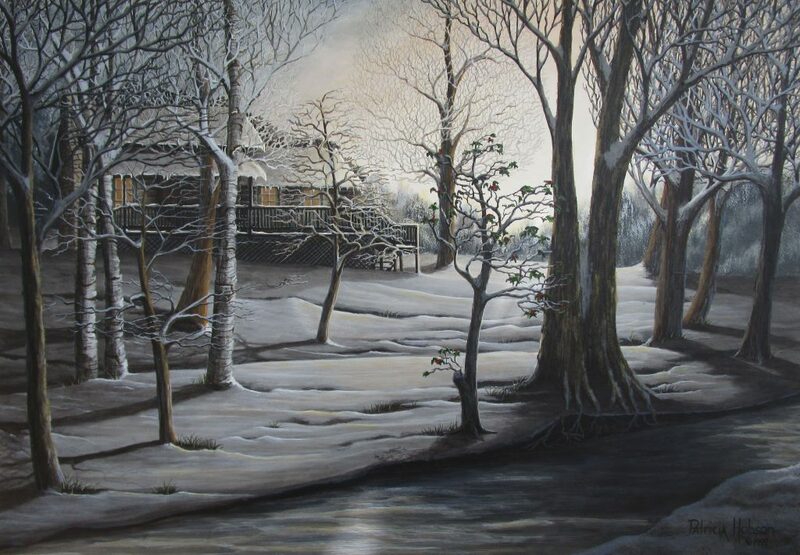 “A Log Cabin Winter” was a favorite because I like Cabin Homes. The snow makes it beautiful. “Morning Song” is another favorite of mine. I love the blue birds and the red flowers. This hangs in Donna S’s home. The Bridge: I loved crossing that rickety low water bridge. I would always take out of town guest across it. Some would hold their breath until we got across. My friends were in for a treat after crossing it….old fashion candy at the Rockford General Store. I have this one too. 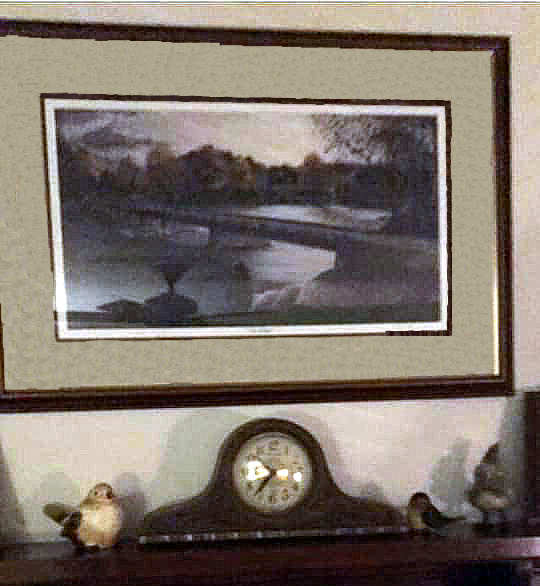 It hangs over my mantel. This one was Toni M’s Mom’s Christmas gift. This was my Mom’s Christmas gift and she absolutely loves it! Thank you, Patricia Hobson, for the beautiful artwork. Felix did an awesome job framing this one for me! Jane H.…This is one of my favorite of Patricia’s prints. Lucille S…..This is an amazing picture! What a God given talent you have! Debbie B…..Great picture. I have so many of your other prints all over my house. Michelle C.….I just got this print for a friend of mine. It’s beautiful! Danny C.….To me this is one of your best. And, I have one!!!!! Kelly K.….Facebook does not do this picture justice. It’s a beautiful picture, especially when matted and framed. Brenda L.…. Jack loves his. Felix did an amazing job on the framing. Thanks again. Y’all, this lady, Patricia Hobson is not only an excellent artist. She’s a giving, kindhearted, beautiful and down to earth lady. She is so gracious and has awarded folks who participated in and win her very fun contests with her beautiful prints. I was so honored that I won my first Patricia Hobson art print. I have always dreamed of owning a piece of her artwork. Now, I own 2. I received the print that I won and purchased another called “A Coastal Breeze.” The reason I love her work is because the scenes mean something to my heart. The first print was “When America was Great.” It is a significant part of our local history. The Shell Station is owned by Tommy Garner, who was my band director in school for at least 7 years. The station has been in existence for many decades. Patricia paints a lot of historical places to help keep the memories of them alive long after they are gone. 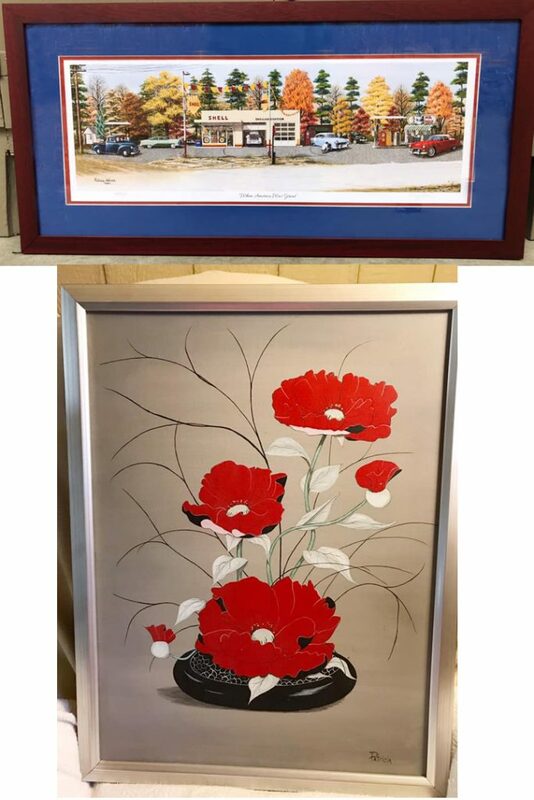 During our first visit to Patricia’s gallery, my husband spied an original contemporary painting of hers the featured big read flowers. On the subsequent visit he purchased it. We can now boast that we own a Patricia Hobson original painting. This is my favorite. I can just sit and stare at mine. I have this Patricia Hobson’s print and 5 others. I love them all! My Grandmother has this print. It’s my favorite Patricia Hobson print. I have this print and love it. 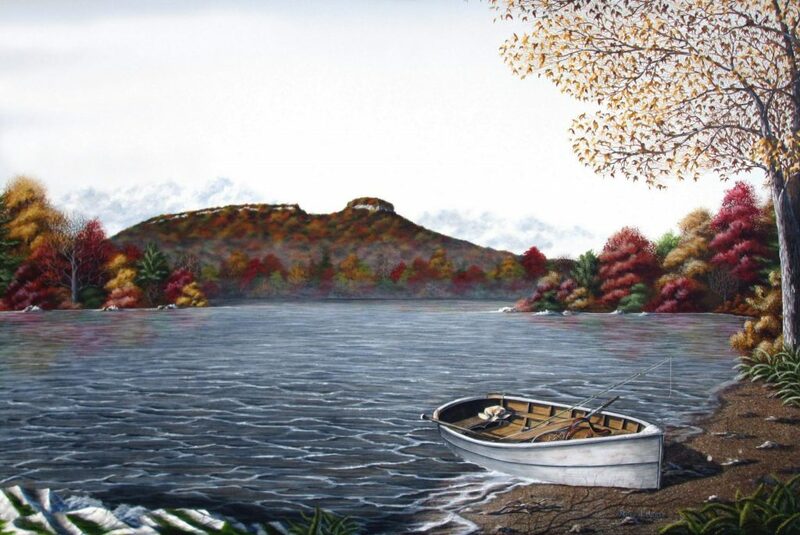 “A Quiet Place” is another print with Pilot Mountain. I can just see myself sitting in that rocker looking at the beautiful view. This is my personal favorite Patricia Hobson print. I have it hanging over my fireplace! Brenda M.….I have have “Precious Memories” and love it. Charles W.….I have this one. It’s beautiful! Kim H.….I have this print. It is one of my favorites!!! Kay S.….I have this print and love how it brings back wonderful memories. Vicky S.….I have this one and love it. Geneva J.….I have this beautiful print hanging in my den! Vickie H.….Such a quaint, beautiful picture…I Love it…this might be my very favorite so far!! Jeanne H.….There are no words to say how beautiful this print is! Ann P.….This beautiful print hangs in my living room. 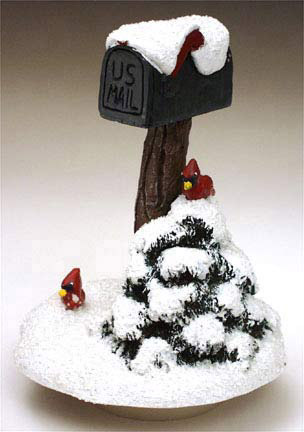 Ann P…..This “Snowy Refuge” hangs in my breakfast area. Beautiful!!! 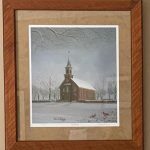 Sherry P.….As I was getting dressed this morning, I looked over and saw “Snowy Refuge” hanging on the wall. It’s one of my favorites. 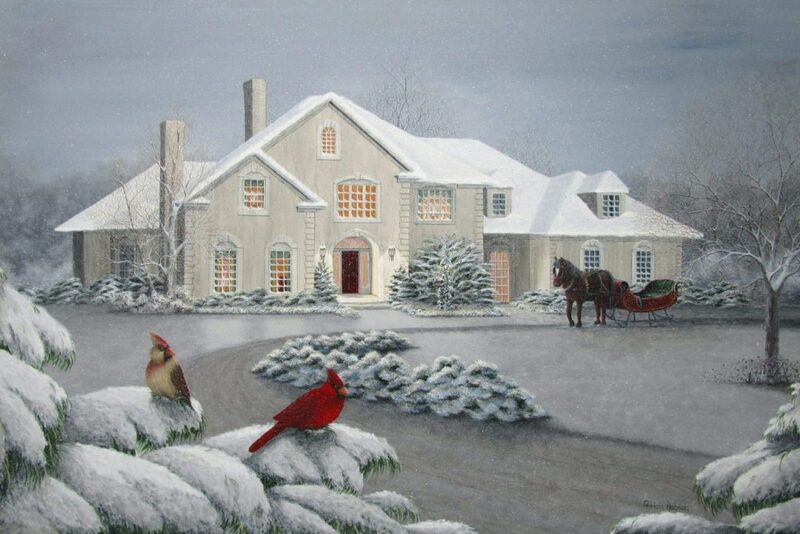 Nancy H.…”Snowy Refuge” is my favorite Patricia Hobson print. It hangs in my living room. Mary S…..”Snowy Refuge is the first print of Patricia’s that I bought. It hangs in my dining room. I love it. Roger A…..I got this print for my wife for Christmas. She Loves it. Patricia is so talented. 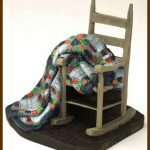 “Holiday Spirit” Susan M.….I have “Granny’s Rocker.” I love it! Betty W…..I have “Granny’s Rocker” and the little mailbox. I love them both. Mary R…..I have the Granny’s Rocker” and the “Holiday Spirit” sculptures. They are great! 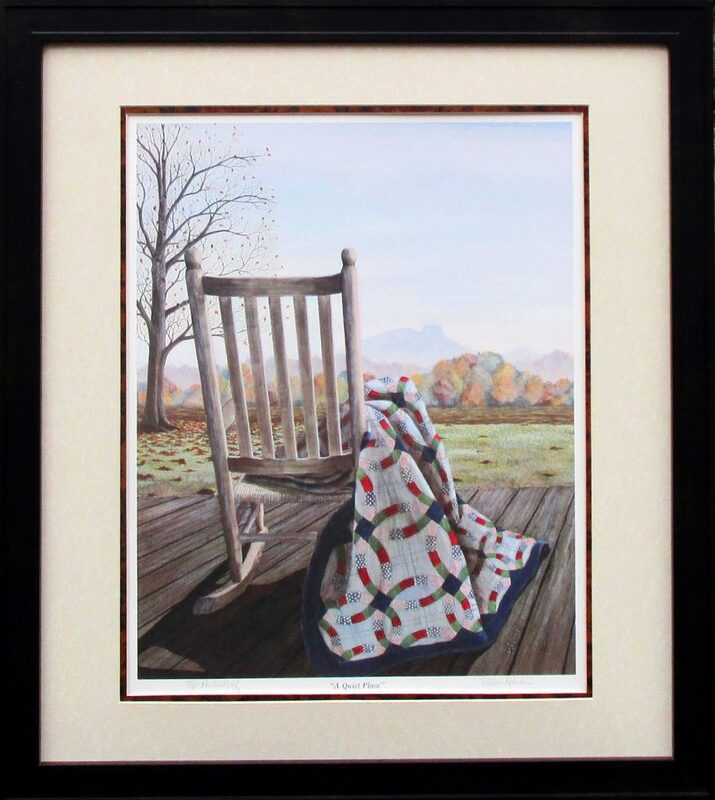 “Granny’s Rocker” Susan M…..I have this little rocker and LOVE IT!!! Betty W…..I have “Granny’s Rocker” It’s great! Mary R…..I have “Granny’s Rocker” and “Holiday Spirit” and love them both! 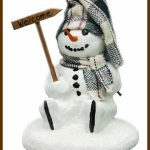 Dianne H….I just love my little snowman! It looks great sitting next to my “Let it Snow” print. Janice M.….I have all three of Patricia’s little sculptures. Love them! Pam A…..Patricia’s work is amazing. She is so talented! Adam H…..I met Patricia many years ago – she is gracious, kind and very talented. Her artistry is unmatched! Karen B…..All of Patricia’s work is priceless to me. Each piece of her work that I have is a treasury! 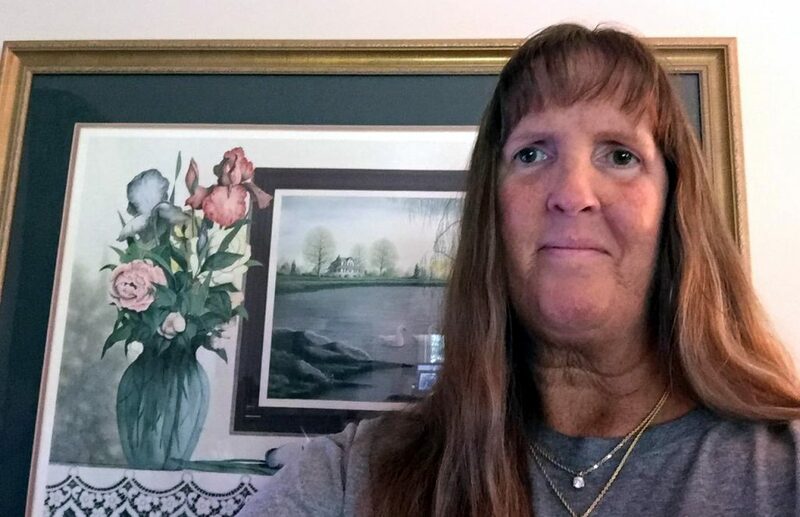 Vickie H…..I am sure your paintings evoke those special memories in people. They sure do me!! Karen P.….Patricia, my family loves your artwork. Keep doing it!! 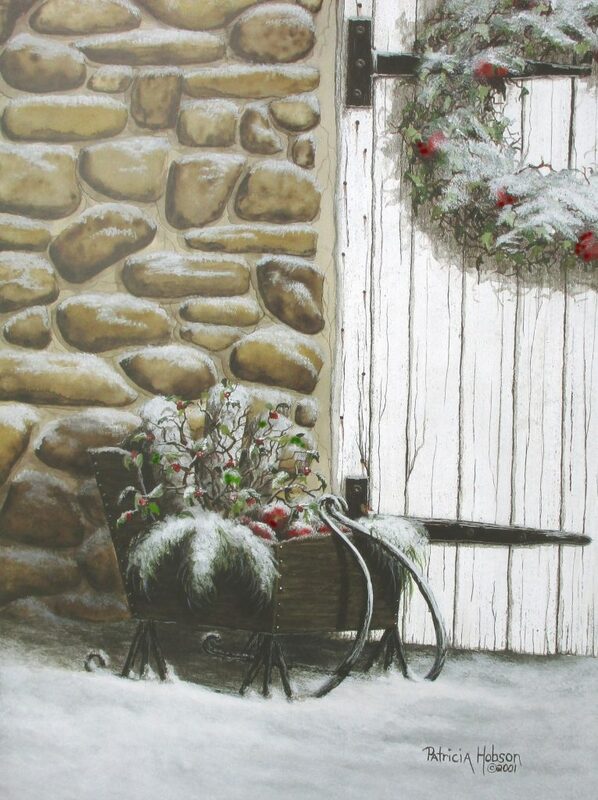 “Holiday Snow” Susan M…..I have this print. It’s beautiful. Virginia C…..I have that picture and love it. It’s in my bedroom. Margret S. I have this print and love it! 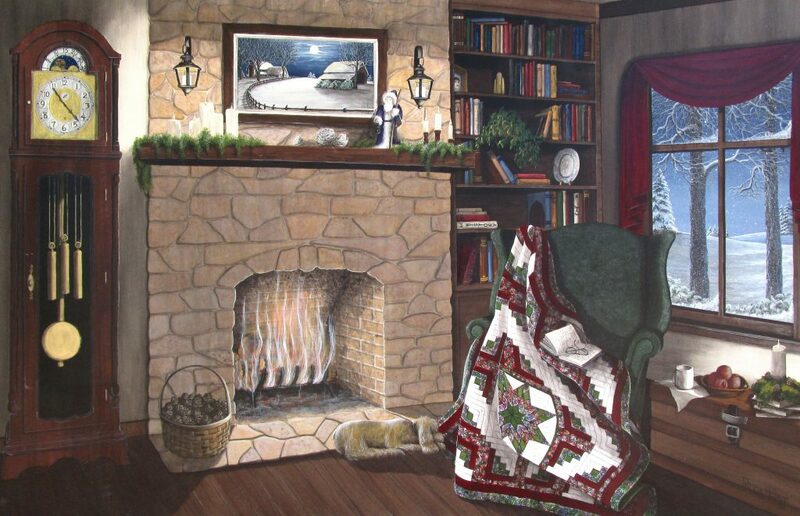 “The Warmth of Home” Margaret S…..I have this print and love it!! Michelle B…..It’s hanging in my living room!!! Marie M…..Gonna be hanging on my wall when it’s framed! “The Gathering” Lucy S.….I have this print and love it! Mary R.….I have this print and I LOVE IT. The red cardinal is my favorite bird. Heather M.….My Mom bought this one for me and my husband for Christmas one year. It’s one of my favorites!! Ours is triple matted. It has a big red suede mat and a thick gold frame. It’s gorgeous!!! Brenda O.….I have this print. Love it!! Betty W.….We have this print and we love it!! 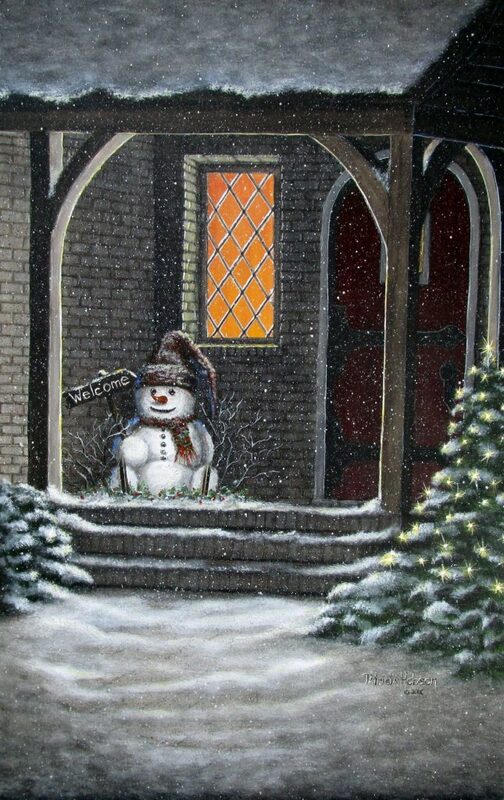 “Let it Snow” Brenda M.…..I have this print and love it. It’s one of my favorites. Mary R..….I have this print and love it. My husband gave it to me several years ago for Christmas. Margret S…..I have “A Winter’s Gift” and love it! Ginny M.….My aunt gave this print to us when we got married. It was our first picture. We love it. Brenda M…..I have this print and love it! Kelly K.….Patricia Hobson print hanging on my wall. “THE CHAPEL.” Framed perfectly. 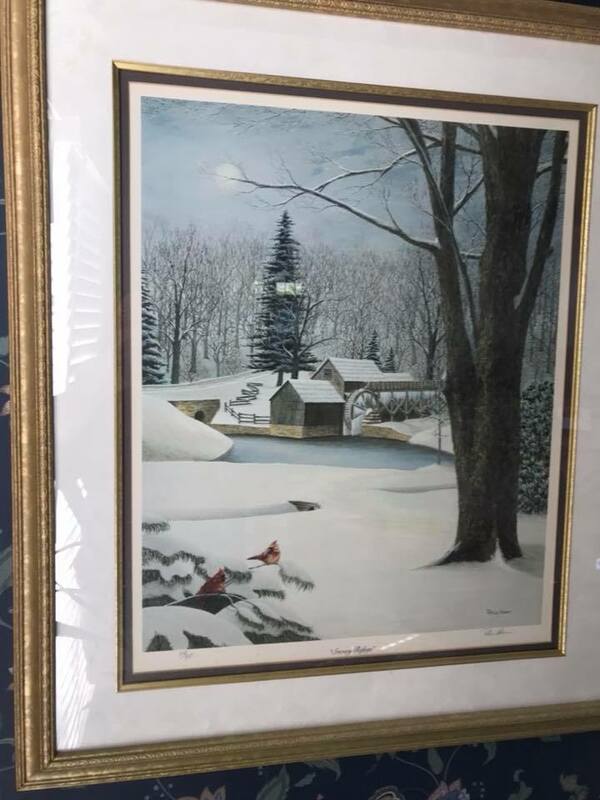 “Hometown Christmas” Kim M….My husband bought this for me We had it framed when we first moved here. And, fell in love with it and the hometown, small town feel Mocksville once had. Hope one day to get Patricia’s “The Picnic.” Thanks Patricia. Phyllis M.….Love this print. I get it out every Christmas. Sarah Hobson.….I have this one! I love having it, now that the big Oaks have been cut down. It reminds me of what growing up in Mocksville looks like. “Our Daily Bread” Kimberly K…..I have this Patricia Hobson print and LOVE it! Janice H…..I have number 97/100 remarqued proof. It has an angel holding a Moravian candle. Kelly K……I have this Hobson print and love it too! Karen B…..I have this print, “Our Daily Bread'” and love it! Kelly K…..This big framed print hangs over my fireplace. I Love it! “The River” Randall C.….Looks so real, ready to go fishing or row to the middle of the river and have a little lunch, lay back and relax. Awesome! Jane H…..“The River” is special to me because I won it in a contest with Patricia’s Gallery and it has the Pilot Mountain which i love to visit and see from a distance. Sarah C.….I have this print hanging in my living room…Love it! “Nostalgic Rockford” Donna S…..The Rockford General Store is 5 minutes from my house. For me to go to the store, I always got to go across the low water bridge. I go to this store often to get old fashion candy and glass bottle “pop. . The floors squeak and are bowed but this is part of the nostalgia. On weekends in the spring, summer and fall, the place is packed with people from near and far enjoying our little treasure. Jane H…..The Rockford General Store seen in this print is a favorite place I like to visit and get sweet potato or apple pies. I love this print! 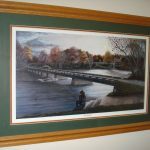 “The Stone Bridge” Brent M.…..I have “The Stone Bridge” (the 14th hole at Tanglewood) hanging in my Man Cave!!! 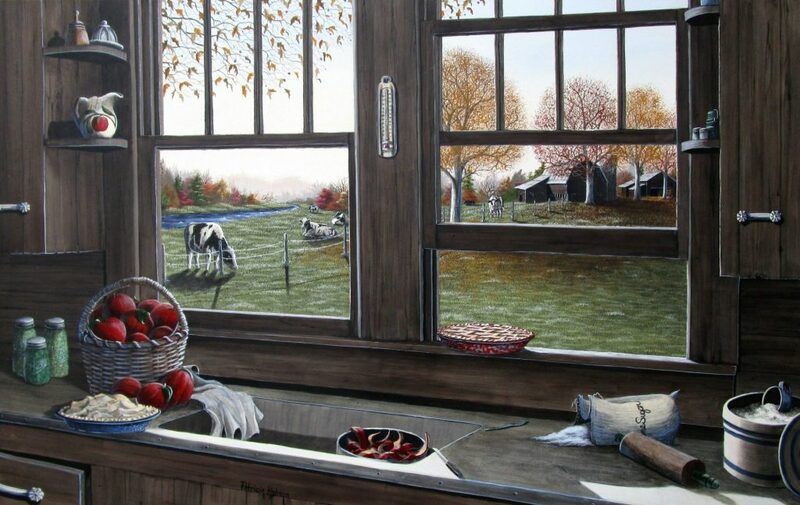 “Mothers Apple Pie” Sandra M.….I have this print. My husband bought it for me because it looked just like standing in my grandmother’s kitchen. I have it hanging in my kitchen and love it. Tobi N.….I have this great picture hanging in my kitchen. It’s perfect. I also have 8 other prints by Patricia and love all of them. Excited to see her new work! 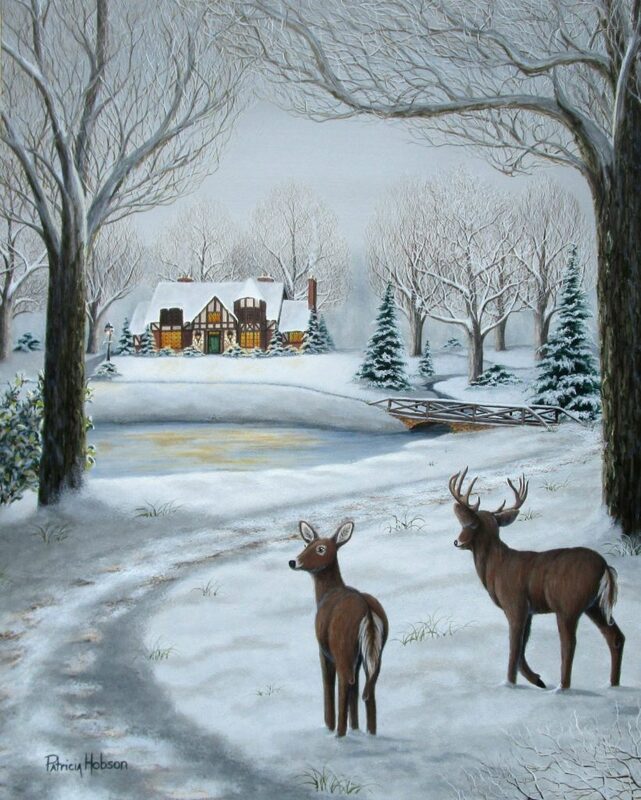 “Holiday Spirit” Sarah S.….I have this painting also. I absolutely love it. Thank you Patricia! Shelia W…..I have this print and love it! Nick P.….A great addition to any home art. We have it & love it! 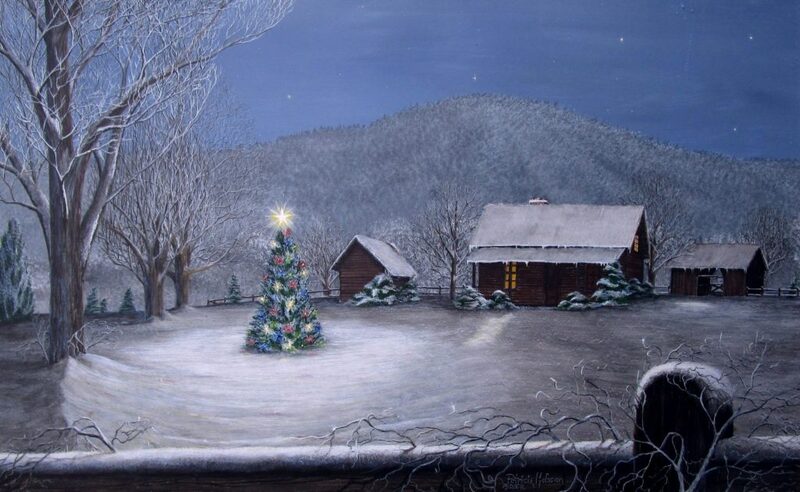 “A Brushy Mountain Christmas” Brenda G…..I have this one and love it! “My Best Friend” Alicia B.….I have this one over my fireplace and love it! “A Log Cabin Winter” Jane H.….”A Log Cabin Winter” is a favorite because I like cabin homes and the snow makes it beautiful.